I saw The Departed last night and it was bloody and violent and really good! I'm not usually one for a movie that wraps everything up in a nice, pretty bow but it would have been nice if one big piece of the puzzle had been solved before the credits began to roll. If you've seen the movie, you probably know exactly what I'm talking about! The interesting thing about this movie is that, in Israel, you get an intermission. For this 3+hour movie, that was exactly what was necessary! Unfortunately, they chose to begin intermission at one of the most interesting parts of the film, so that was a little annoying. That, and the guy in front of us who kept using his cell phone to make calls and text message. Honestly, why bother seeing this movie and paying the 35 shekel if you're not really going to watch the movie? In terms of how I felt about the movie, well, everyone knows I think that Jack Nicholson is absolutely brilliant. I won't be surprised if this performance leads to a Best Actor nomination next year. 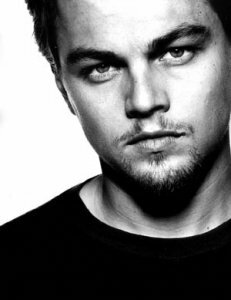 Clearly, I've loved Leo since his Growing Pains days and his performance in this film was also pretty incredible. I am NOT a fan of Matt Damon and thought the part was miscast, I would have preferred to have seen a better actor play that roll. However, the breakaway best acting award in this film goes to Mr. Markey Mark and the Funky Bunch Wahlberg. Gone are the days when he rapped and dropped trou! This man can act! Get him a Best Supporting Actor Oscar, Wahlberg was truly fascinating to watch. Shabbat was great - the meal went really well - everyone ate, drank and were merry. I was exhausted when they left and then spent 2 hours washing dishes and cleaning up. Lana and Oren came by Shabbos for lunch which was great, they helped make a dent in my leftovers so now I don't have as much to toss. Gayle, meanwhile, is heading over this morning for brunch. I haven't spent a lot of time with her lately, so it will be nice to catch up. And then, it's homework and work time! I was hired for another small project, so I need to get started on that ASAP. Now, here is my work problem. On Tuesday, I need to hand in a 5-6 page story to Bret Lott describing an event in my life where, after it was all over, something in my world had changed forever. I have no idea what to write, there were sooo many of those little events that I just don't know which one to choose! Chances are, I'm going to end up writing the Kevin Bacon story, that was the turning point for me with my celebrity work. That's when I went from celeb admiration to celeb indifference, which was an essential lesson I needed to learn in order to continue working any red carpet function. Hmmm, the more I think about, the more I think it's the right story to write. Song of the day is Widow by The Mars Volta. I highly recommend the Televators CD! Too bad you thought that Matt Damon was a miscast. Me and my pals on the other hand thought that he gave one of the best performances in the film. He plays the negative roles with such ease. I personally thought that he was just brilliant.